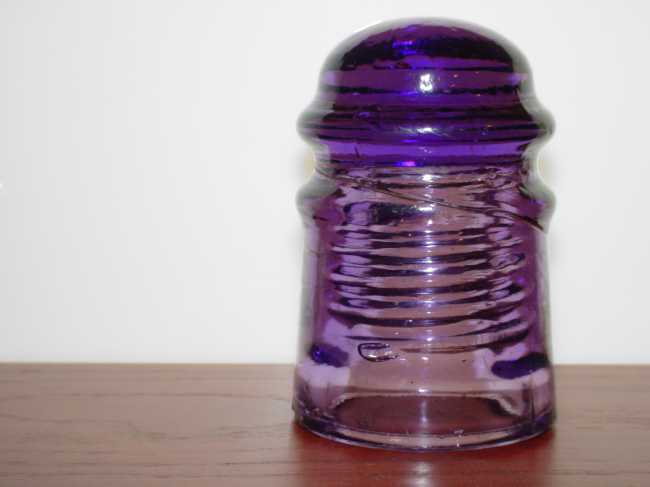 Insulator Shows (2005 National Show finds) > Purple 120 No Embossing C.E.W. Purple 120 No Embossing C.E.W. From one collection to another. Thank you Bob Jackson for filling the CD 120 spot. This one has some small base damage and the rest is perfect. Hope to see you at the Canyonville Show.